Going for a ride or training session on your favorite trail or stretch of road is an experience that never seems to get old. As they say…it’s tough to beat the great outdoors. However, at Power Meter City, we are also big advocates of indoor training. In fact, indoor training offers several distinct advantages when compared to riding outside. We will touch on these below. But the real purpose of this article is to discuss what your indoor cycling power meter options are. You see, training with power when you’re indoors is just as important – if not more so – as when you are outside. 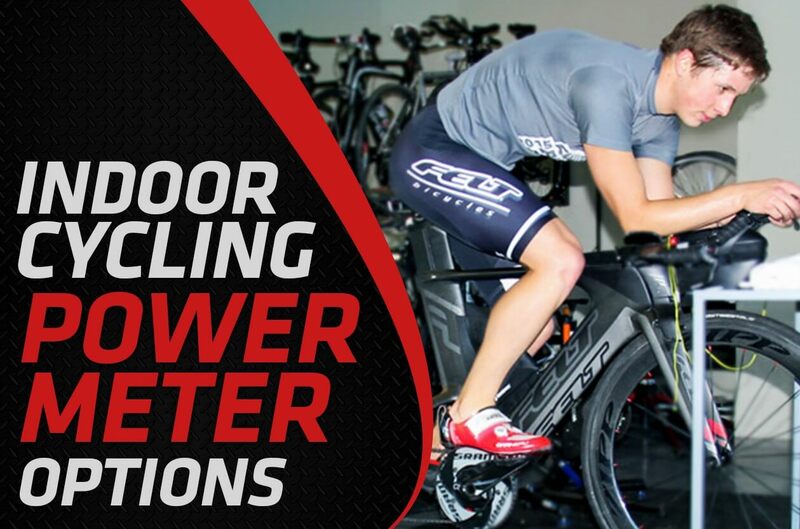 Fortunately, as we’ll outline in this article, you have several indoor power meter options based on your budget and circumstances. Let’s check em’ out. So while not the main focus of this article, we wanted to touch on the reasons why we like to take advantage of indoor training. So if you’re time crunched like the rest of us, you’re always looking for ways to make the most of limited training time. When you ride indoors, pre- and post-ride chores are often minimized. For example, when you ride outside, you typically have to kit-up, prep your bike and pack tools and food. Maybe you also have to load up your bike and drive to a trail. When you’re indoors, you can just hop on and ride. This is especially true if you’re fortunate enough to have a dedicated indoor bike that is already set up and ready. The same applies post-ride. Indoors, there is no clean up (ok…maybe some sweat to wipe down), no bike to wash, no drive home, etc. Ok, this is perhaps the biggest advantage and another one that time crunched folks will enjoy. When you ride indoors, it’s the most effective use of your training time because you’re constantly working. If you ride for 60 minutes indoors, you pedal for 60 minutes. Outside, due to descents, traffic lights, mechanical failures, other riders in your group wanting to stop, etc., your actual ride time will be something less than this – and perhaps much less. On average, a 60 minute indoor ride would equal 90 minutes of riding outside. Don’t believe that? Look at your last few ride files. I think you might be surprised to see how much time you’re not actually pedaling. In addition to being more time efficient, steady state riding can also lead to improved fitness. This of course makes the assumption that your goal for the workout is to maximize fitness. Maybe instead it’s time for a fun, group ride. If so, great. Or maybe you’re outside and part of your ride you’re practicing descending at speed for example. While not pedaling, that is hardly wasted time. So there are some caveats here. Your goal on every ride surely isn’t to pedal start to finish. We’re just making the point that indoor training is great for maximizing limited training time. This is another huge one. If you want to do intervals using your power meter (and we hope you do), an indoor workout is a great place to do them. Why? Because you can structure your workout however you want, without outside elements interfering. 5 minute intervals with 5 minute recoveries…great. How about 30 minute tempo intervals. No problem. When you’re outside, you’re at the mercy of the road or trail. You might run into a light, have to slow for another person, the road might dip or go up. Any number of factors can influence your interval. However, when you’re training with your power meter inside, you can construct perfect intervals. One more thing…indoor workouts are repeatable. If you want to see how you improved, you can accurately compare one indoor workout to the next. Direct comparisons on outdoor workouts can be more difficult unless your route or trail is the exact same. And even then it can be influenced by factors such as wind, stops made in different places, having to slow for other riders, etc. While we actually enjoy putting the lights on the bike and getting out for a night ride now and then, there is no doubt that an indoor bike is a safer alternative, especially if you’re talking about a night ride with cars involved. Like night rides, bad weather rides are also character builders. If you want to go for it…by all means. Having said that, an indoor ride is a beautiful thing when it gets nasty outside. As you watch the rain pound on the window…you’ll find yourself smiling inside…even despite the pain of your current interval! So this is perhaps the most popular and simplest of your indoor cycling power meter options. You simply purchase a trainer or set of rollers and use your power meter equipped bike on them. Done deal. Not only is this a simple solution, but this gives you power both indoors and out since you have a power meter mounted on your bike. There are a ton of trainers or rollers to choose from. They typically start at around $200 and go up, but you can find cheaper or used options for less. We’re big fans of the Feedback Sports Omnium Over-Drive Portable Trainer, which in addition to providing a great road feel, is super portable. 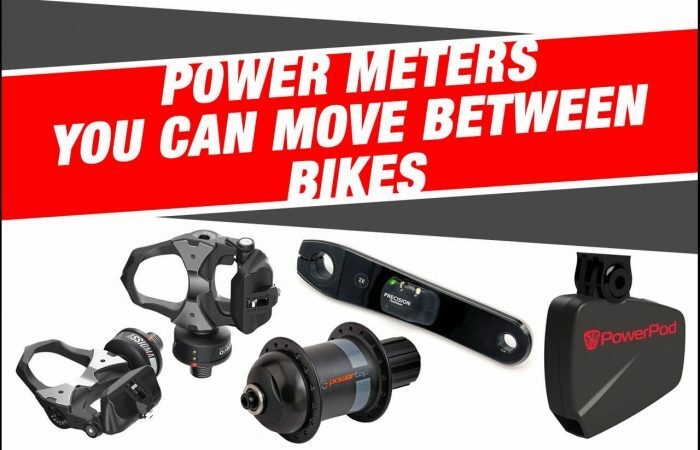 If you don’t yet have a power meter on your bike, you will have to purchase that as well. You are not restricted by the power meter type. Any power meter that works outside, will work indoors. 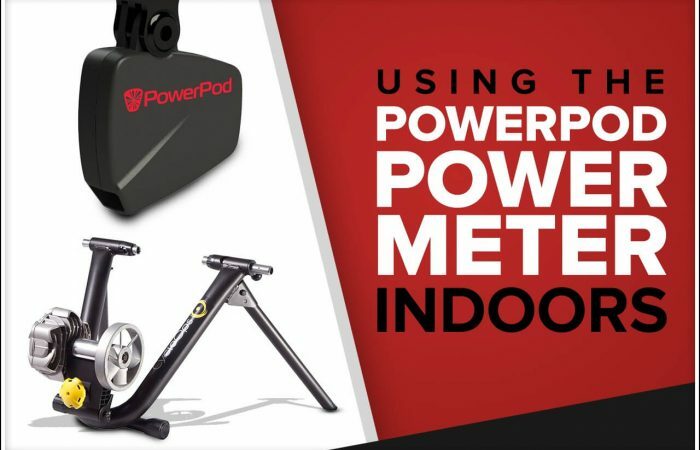 You can even use the PowerPod Power Meter indoors as it has an indoor trainer mode built in. Unlike the trainers mentioned above, you can also buy what is called a ‘smart’ trainer. 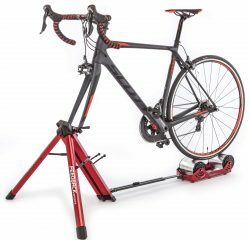 A smart trainer, like the CycleOps H2 Direct Drive Smart Trainer, has built in power measurement technology, so it’s essentially a bike trainer with power meter technology built in. Also, like a traditional power meter, it transmits power data to your head unit via ANT+ and/or Bluetooth SMART technology. Smart trainers also have the added benefit of being able to interact with third-party software platforms so you can add some entertainment to your training (think Zwift or TrainerRoad). Smart trainers start around $400-500, however many of the popular models sell for $1,000 or more. A smart trainer is also a good option if you’re fortunate enough to have two bikes. You can set one bike up ‘permanently’ inside on your smart trainer, and use your other, power meter equipped bike for outdoor rides. Some people already have an indoor spin bike they like to use, but want to add a power meter to it. No problem. 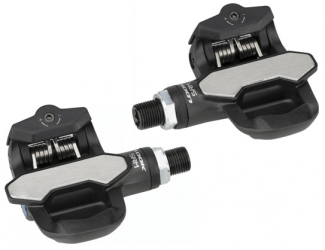 Power meter pedals to the rescue. Simply remove the existing pedals and screw on a set of power meter pedals and you’re good to go. This is by far the quickest and easiest way to add a power meter to your spin bike. 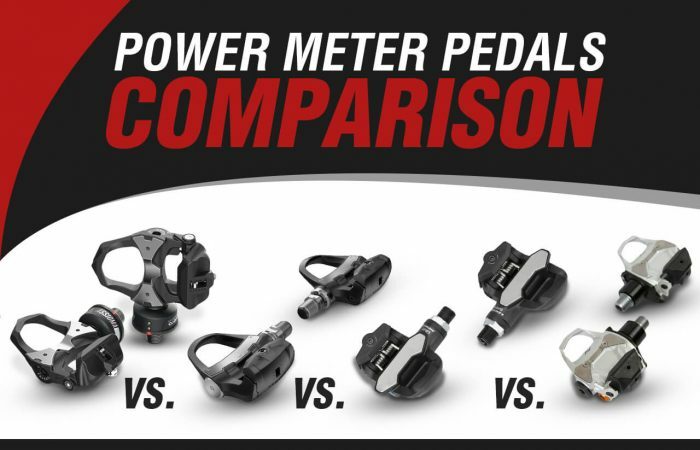 While power meter pedals fit the vast majority of spin bikes – exceptions do exist, so contact us with any questions. Some spin bikes come with power measurement built in. While this can be a more expensive indoor cycling power meter alternative, it’s definitely convenient and makes things simple. However, be cautious here because sometimes the power meters on spin bikes don’t broadcast to your bike computer – so you can’t record power data for later use and analysis. In addition, there is the likelihood that the accuracy of your spin bike won’t match up well with the power meter you might be using on your outdoor bike. When this happens, it lessens the effectiveness of your indoor power training and makes comparing your indoor and outdoor power data difficult. 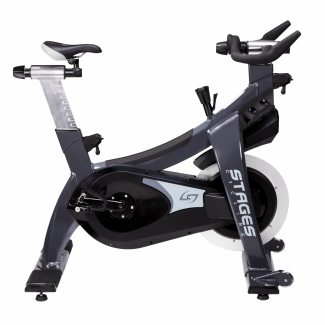 Our favorite power-equipped indoor spin bike is the Stages Cycling SC3. 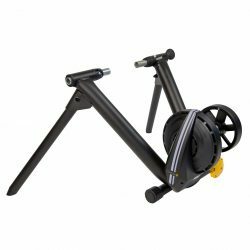 Not only is this bike great for home use, but it’s the go-to bike for many cycling studios and fitness centers across the country. In addition, because Stages is one of the largest power meter manufacturers, you are getting a high-quality power meter. The Stages indoor power meter features +/- 2.0% accuracy, which is on par with other power meters. Also, the SC3 is compatible with both ANT+ and Bluetooth SMART enabled devices. This allows you to broadcast your data to any number of cycling computers or to a smartphone. So there you have it, your indoor power meter options in a nutshell. Hopefully there is an option here that works for you. Please contact us with any questions and keep the power going…indoors and out! 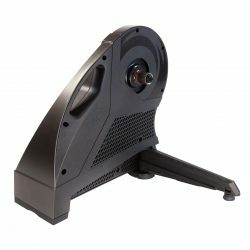 Power meter pedal recommendation for kaiser m3 indoor bike? Single versus dual? Hi David. All of our pedal-based units will work great with the Kaiser. Single or dual is really based on your budget. 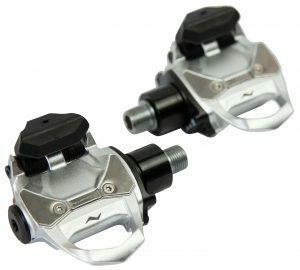 We of course prefer dual-sided power if you can afford it, but single-sided pedals work great and are a popular option as well. 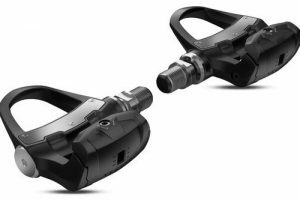 I just installed my Favero Assioma DUO power meter pedals on my Keiser M3 for indoor winter training, but am uncertain as to what is the best option for receiving power (and cadence) data from the pedals. I can continue to rely on the power data provided on the M3 head unit, but this is only an indirect measurement of power, and I would prefer something more accurate. The Assioma app, available for iOS and Android, is designed for updating, calibrating, and maintaining the pedals. It will not provide feedback on power or cadence. I can always use one of the interactive cycling apps currently available (i.e., Zwift), which I am considering, but I really want nothing more than a cheap (free!) option (app) that allows me to receive accurate power data from my pedals. Hi Dave. You have a few options. There are a number of free apps available for both iOS and Android that are compatible with power meters. You can play with different ones and see what works best for you. Or, if you would like a dedicated bike computer, we have models starting at $129. I appreciate and thank you for the prompt reply and suggestions. Do you have any specific apps that you suggest? The apps I have tried thus far (4iiii innovations, ROTOR) seem to be designed to work only with company-specific power meters. Zwift and Sufferfest are compatible, but provide more than I really need; including a monthly fee. Thank you once again. I will do as suggested. Im looking for the best most affordable way to add a power sensor or speed sensor that I can add to a bodycraft spr bike. 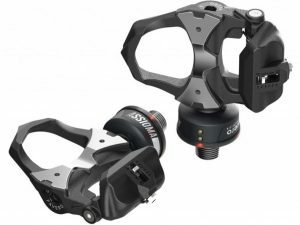 I have cadence, but really want to be able to use zwift or fulgaz app with the bike, I really could use help in making this work. The bikes design does not make it easy to add. Anything you can think of? Thanks! I believe the pedals on your spin bike are removable, in which case you could go with any of our power meter pedals. Please note, these pedals require the use of cycling shoes.